Going through a divorce is difficult for a separating couple and any children that may be involved. The most efficient way to navigate the process is by enlisting the help of a divorce lawyer in Peoria, East Peoria, Pekin, Morton, Washington, Eureka or Canton, IL. With a concentration in family law and many years of experience, the team at Brave Law Center, P.C. is available to guide you step-by-step. Beginning with a consultation, we explore your case and stand by you at every milestone. When seeking a divorce, there are multiple factors to consider. A divorce attorney from Brave Law Center, P.C. is an expert in family law with years of experience working with families. During your complimentary consultation, a member of our team will meet with you to discuss the details of your case and to make recommendations for the future. Serving the Peoria, East Peoria, Pekin, Eureka, Morton, Washington and Canton, IL communities, Brave Law Center, P.C. 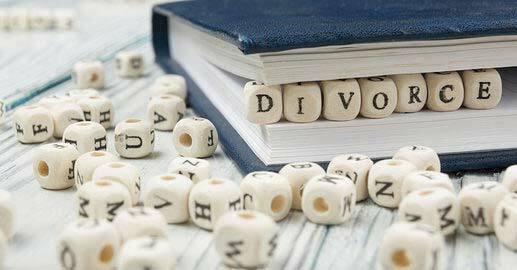 is available to guide you through the divorce process from start to finish. For family law cases involving children, the need for legal help doesn’t expire once the divorce is finalized. Often, parents must participate in regular visitation, pay child support, or meet other requirements. Because this involves ongoing contact with the local family court, it’s wise to receive the help of an experienced divorce attorney in Pekin, IL. With Brave Law Center, P.C. we’ll never leave you to cope with these responsibilities alone. After many years working with couples to dissolve marriages, a divorce attorney from Brave Law Center, P.C. understands that this life-altering event can have a ripple effect on every aspect of life. From custody disputes and child support to visitation rights and property distribution, ending a marriage can quickly become complicated. For assistance from experienced family law attorneys, contact Brave Law Center, P.C. today. When seeking a divorce, there are multiple factors to consider. A divorce attorney from Brave Law Center, P.C. is an expert in family law with years of experience working with families. During your complimentary consultation, a member of our team will meet with you to discuss the details of your case and to make recommendations for the future. Serving the Peoria, East Peoria, Pekin, and Canton, IL communities, Brave Law Center, P.C. is available to guide you through the divorce process from start to finish. After many years working with couples to dissolve marriages, a divorce attorney in Pekin, IL from Brave Law Center, P.C. understands that this life-altering event can have a ripple effect on every aspect of life. From custody disputes and child support to visitation rights and property distribution, ending a marriage can quickly become complicated. For assistance from experienced family law attorneys, contact Brave Law Center, P.C. today.